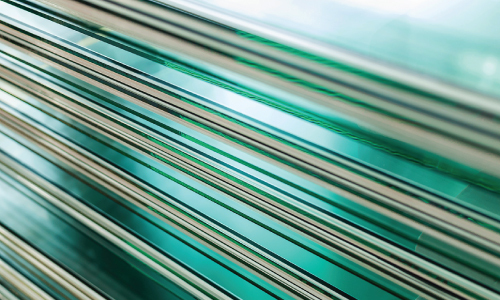 Glass stays cleaner for longer. Protects against staining & cement slurry etching. 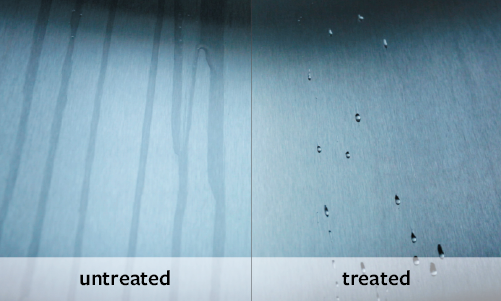 Industry leading hydrophobic coating makes surfaces easy to clean. 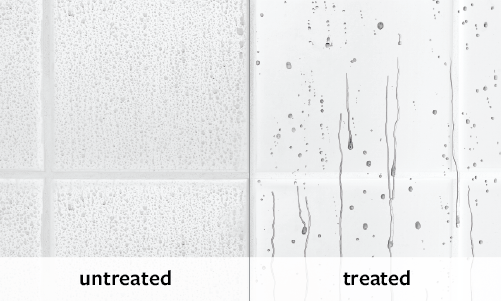 Architects continue to specify EnduroShield® due to the many benefits the hydrophobic coating provides to their customers. 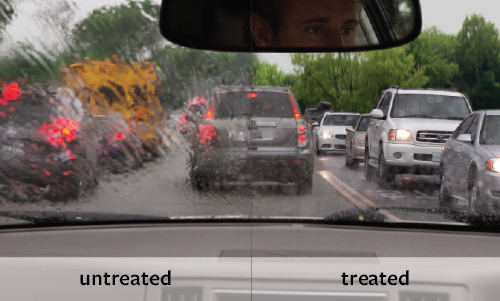 EnduroShield for glass is an optically clear protective coating that chemically bonds to the surface, creating a non-stick barrier resistant to corrosion, etching, and staining. 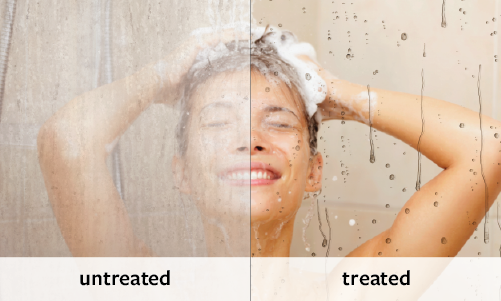 Treated glass becomes both hydrophobic and also oleophobic (water and oil repellent) protecting against most forms of dirt, minerals and grime. The molecule is highly resistant to chemical breakdown by UV light giving it long term stability. For the construction industry, EnduroShield has been shown to significantly reduce the etching caused by cement render splashing on the glass. To make it easy to specify EnduroShield hydrophobic coating for your next project, a specification on each product is available to download here. 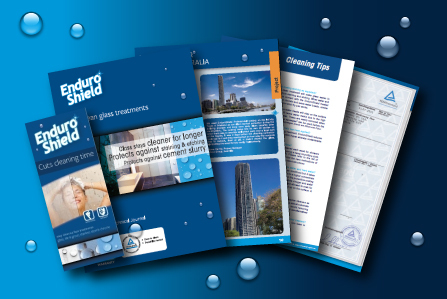 See EnduroShield hydrophobic coating in action; applied in factory by some of the world’s largest glass fabricators and processors and in-situ to prominent landmark buildings across the globe. 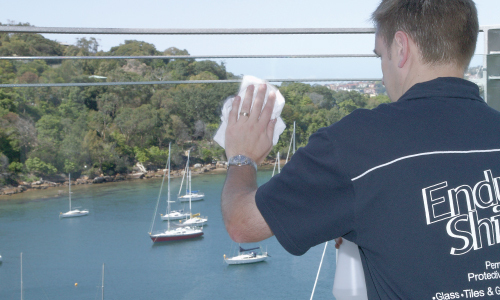 A truly revolutionary coating, EnduroShield features on significant global projects such as the One World Trade Center in New York USA, the Infinity Tower in Brisbane AU, and the Bombay Saphire Distillery in Hampshire UK. Contact us for more information on the key application benefits on all of our projects. EnduroShield hydrophobic coating has been specified by architects and professionals on a number of green projects. The Leadership in Energy and Environmental Design (LEED) Green Building Rating System is a third-party certification program which does not rate products, rather is used to rate green building projects. As part of our commitment to green projects, EnduroShield is a proud member of the US Green Building Council, the developer of the ratings systems, reinforcing the environmental benefits that a project can attain when EnduroShield is specified. 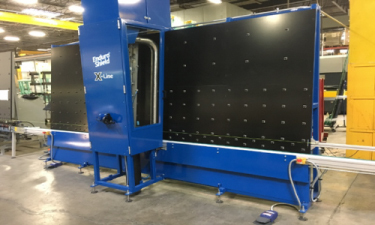 The EnduroShield Project Warranty system installs confidence for glass architects & professionals, glass fabricators and processors, contractors, and end customers. 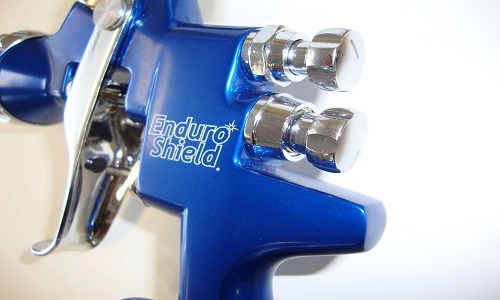 The online system enables a unique code to be entered providing a simple and transparent approach to registering the EnduroShield 10 year warranty. Registration allows for quick and accurate access to all necessary information in the event of a customer call and is serviced directly by EnduroShield global offices.